The English Language Panasonic DMC-G1 user manual / operating instructions is now online and available for download at Panasonic.com (PDF link). 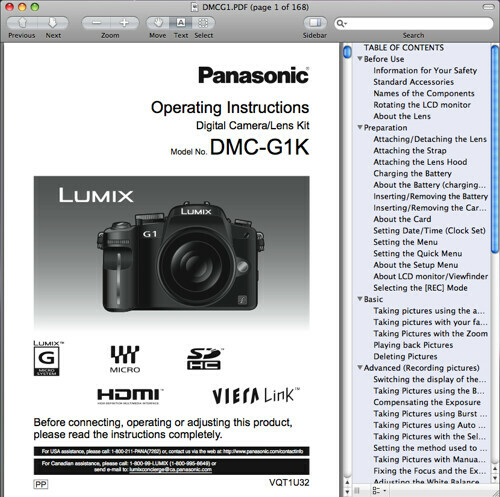 The 168-page Panasonic G1 Adobe Acrobat PDF document weighs in at 48.3 MB (megabytes). The guide discusses the features of the G1 and how to use the camera. Page 128: Using the Panasonic DMW-FL360 External Flash (GN36). If you plan on doing lots of flash-illuminated photography, and based on the user reviews of the DMW-FL360, it would probably be a better idea to purchase the higher-powered Panasonic DMW-FL500 TTL External Flash which has a guide number of 50. 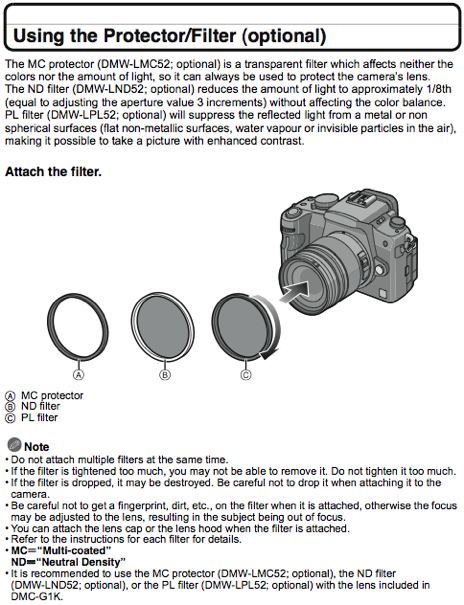 Page 130: Using filters — the Panasonic DMW-LMC52 52mm Protection Filter, Panasonic DMW-LND52 Light Control ND8 Filter and Panasonic DMW-LPL52 52mm Polarizer Filter. 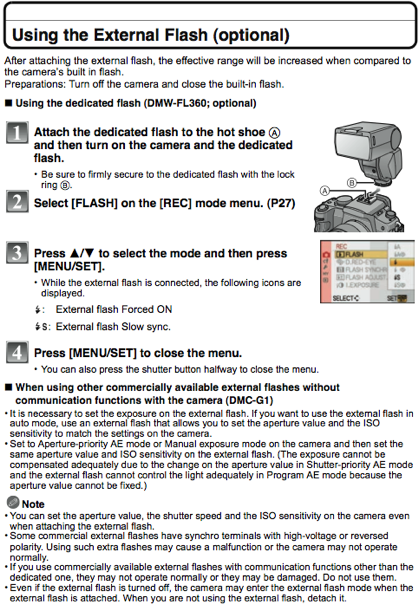 Page 131: Using the Panasonic DMW-RSL1 remote shutter / cable release. 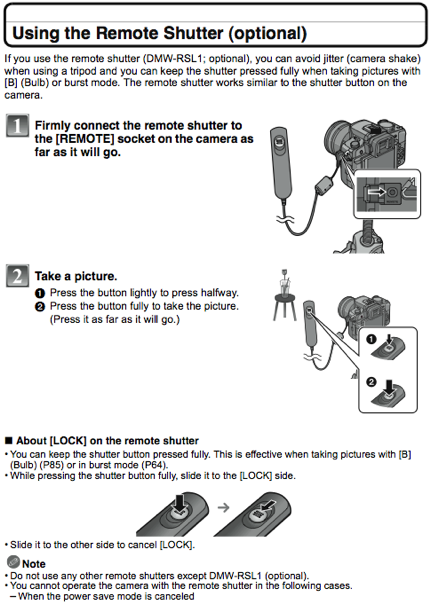 Read Panasonic G1 Remote Shutter Release Solutions for more ideas on remote control options.